Hey guys! Sorry I haven`t updated in about ten godzillion years, I literally have had no time whatsoever. Doing my best to balance school work with basketball with sleep. Doesn`t always go according to plan. When I skyped my parents last week, they asked me if any of the boys had been asking me out. I told them to wait until I updated my blog to hear the story. Sorry it`s a bit late, guys. 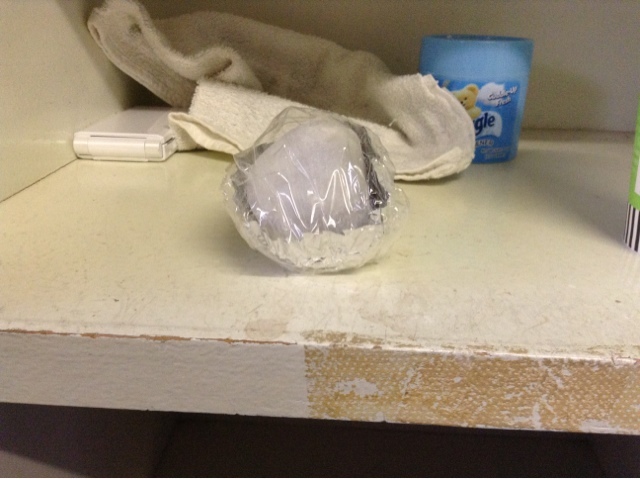 There`s a third year in the boys` basketball club who apparently really likes me, so he gave a mutual friend (one of the third years in the girls` club) a strawberry daifuku to give to me, "Because you`re cute." Kinda cute, kinda flattering. Also strawberry daifuku turns out to be the most delicious thing on the planet. That was a week ago though and there`s been no interaction since, despite the fact that we have practice on the same court virtually every day. I`m not too keen on him to be honest so I don`t mind. But he`s a friend of one of the third years on the girls` team, and she said she`d introduce me so I`m probably gonna have to get along with him eventually. I can`t remember what his name is - Sasaki or something - so I`ve just been calling him Megane-senpai or Megane Daifuku-senpai (Megane = glasses. He`s the only guy in the boys` club that wears glasses). The Sunday before last was the first AFS orientation. 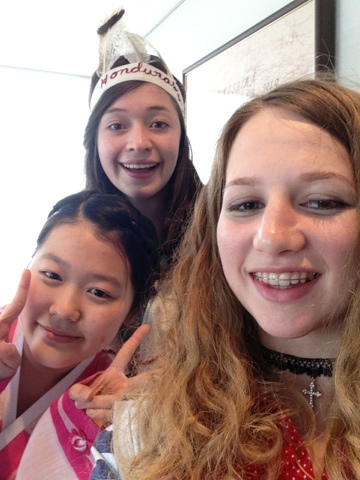 All the exchange students in the Hiroshima prefecture got together and shared their experiences, and later the host families showed up and we all introduced our home countries. I didn`t know about the speach so I sorta had to wing it. In Japanese. It went better than expected, actually. 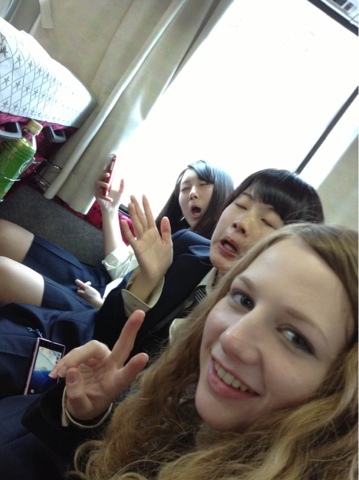 Everyone`s getting used to living in Japan. It was really great to see the differences in the way we interacted. The last time we saw each other, conversation was entirely in English. This time it was mostly English, but every now and then we`d use Japanese out of habit. It was also great to talk to people going through the same things as me. Wake up at 5am, practice basketball until either 5:40 or 6, depending on whether or not I need to wash my hair. Relax for ten minutes with a cup of coffee while holding an ice pack to my eyes to reduce the swelling from lack of sleep. The bus ride to school takes maybe 50 minutes. After school is basketball practice, which ends at 6pm on Tuesdays and Fridays, 6:30 on Mondays and Wednesdays, and about 4:30 on Thursdays, when we have a short but intense run around the school. Because of bus times, depending on the day I get home either at 6pm, 7:30 or 8pm. If I`m lucky I`ll be free enough to get to bed at 10:30, but 11 is more likely. Before bed I do pushups and situps in order to strengthen my throws in basketball. On the weekend I have to go to school for either morning or afternoon basketball practice. Morning practice starts at 8ish, afternoon starts at 12ish. On the weekend the buses are different so it takes about an hour and a half to get to school, two and a half to get back, and four hours in between for practice, so that`s 8 hours I spend per weekend day either at school or commuting to or from school. Basically my life is basketball. Luckily everyone in the club is awesome and super nice, and I actually really enjoy basketball. I`ve gotten used to Japanese math! I think I`ll really be able to do it, which is great. The math teacher is seriously nice and wants me to succeed as well as everyone else. He even goes out of his way to try and find the English word for things like factor theory and cancellation. Whereas the koten teacher doesn`t even give me the textbook and expects me to do the homework, which is frankly impossible for me. Koten is something the scholars call Japanese but really it`s an entirely different language. Even the Japanese don`t understand it, so the idea of me translating it is kind of ridiculous. The earth science teacher also expects me to copy into my book everything he writes on the board, and his handwriting is really bad. It`s alright for those who can actually read kanji, but I have no idea what he`s writing most of the time and it`s impossible for me to do without help from the girl who sits next to me. English II and Writing (That`s the English word `writing`, not the Japanese word for it) is fairly easy, I just try not to fall asleep. In Japanese and World History I also have to try not to fall asleep because of all the kanji. I`m sure it would be very interesting if I could read it. I`m taking Home Economics here! It`s pretty interesting to read about the Japanese idea of a balanced diet. I`ve been trying to think how I could fit that into the foods that one could buy in New Zealand, and it`s kind of difficult. Hoping to actually start cooking sometime soon. 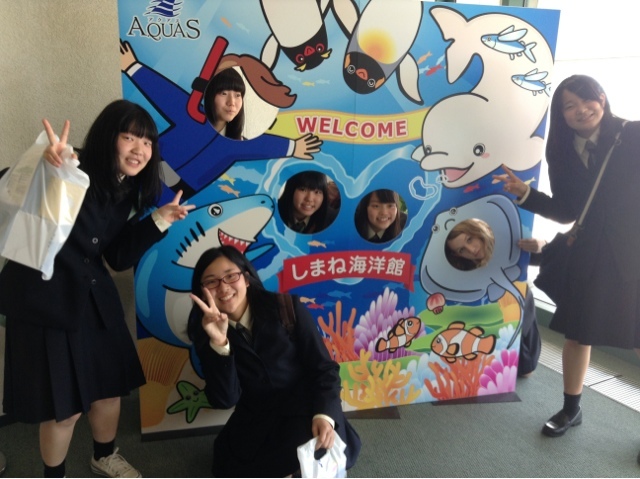 Today was the school trip to an aquarium called Aquas. 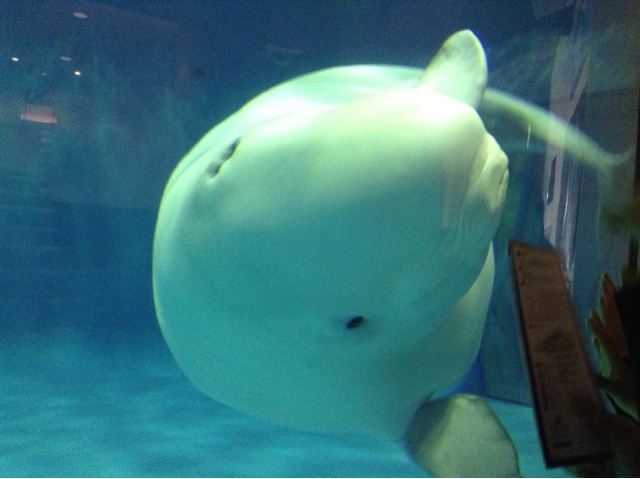 This aquarium is famous for its white whales, which are the most adorable things ever. Each bus ride was two hours of non-stop snacks and sweets. Apparently in Japan a school trip means everyone brings a packet of something and passes it around the bus until nobody can eat anything anymore. But they eat a normal sized lunch despite this. I felt pretty ill afterward. `Twas fun though. Yeah, I sorta missed the silly-face memo. The aquarium itself was great. There were adorable whale and penguin keyrings and magnets which I would have loved to buy for you all, except I left my wallet in my bag that had my basketball stuff in it, which I`d left at school. Sorry guys. I switched groups when I got to the aquarium `cause Akari and them were kind of racing through the aquarium. And then I became a manta ray. Everyone wanted to get their picture taken with me, it was pretty funny. These girls always seem to move in groups; someone will get up the courage to ask if we can take a picture together, and when I say yes everyone else will be like, "She said it was okay? Then I`m gonna get one too!" So I end up with this mass of girls surrounding me and touching my hair and getting each other to take pictures. It was fun times. The interactions between my fellow students has been pretty interesting. The first-years in the basketball club are super polite to me because I`m their senpai, which is pretty weird because everyone`s my senpai when it comes to basketball. I`m trying to get myself into the habit of using polite speech when talking to my senpais too, and saying the correct phrases at the right times, but it`s difficult. I`d much rather be everyone`s friend instead of having this hierarchy. I`m getting a lot less attention than I was in the beginning, which I expected. I`m not something new and exciting anymore, just something different. I still stand out like a sore thumb, but people aren`t in a rush to talk to me most of the time. Remember when I said Japanese people had no shame in staring? Apparently that rule only applies to strangers on the street. Japanese high school boys are the worst starers ever. Every now and then I`ll look up and see someone hurriedly whip their head away. I wouldn`t have even noticed if they`d remained calm and casually shifted their gaze a little. You`d think that by sixteen they`d have figured out how to stare at someone sneakily. I did manage to coax a group of boys into talking to me during the bus ride home the other day by waving when I saw them staring. That was quite cool. I`d like to make some guy friends as well as girls, but the guys are just so shy. So, I`ve finally figured out what the deal with dating in Japan is. I`ve been getting mixed responses - manga says that high schoolers date, AFS says that high schoolers generally don`t, one man said that only the city schools have people dating, but I go to a country school and people have boyfriends and girlfriends. So here`s the sitch: They "date," with quotation marks. They get given the title of boyfriend and girlfriend, and sometimes if they`ve been dating a while they`ll actually kiss each other (OMG!!!!11one!!). One girl told me that she and her boyfriend had been dating two years and they still hadn`t kissed. That`s not the norm in Japan either, but that gives an idea of high school dating. It`s a little scary, but I guess what with schoolwork and club activities combined there isn`t really time for all that boy-girl stuff. 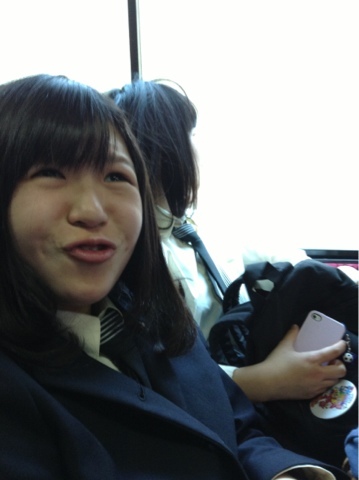 Because of that, the girls` love talks are very young and innocent. I feel like I`ve gone back in time. It was a bit of a culture clash. The Japanese have this annoying habit of inviting you to go places "next time." "Next time, let`s go to karaoke!" "Let`s hang out next time!" "We should go to Akihabara next time!" "Next time we`ll all get sushi." This doesn`t actually mean that you`ll do any of these things. It`s just supposed to reassure you that this person doesn`t dislike spending time with you, since they`d be willing to spend more time with you sometime. I mean nobody`s free enough to hang out very often anyway. It`s kind of annoying though `cause I have to remind myself not to get excited about [insert here]. I am finally gonna hang out with people on Sunday night though. 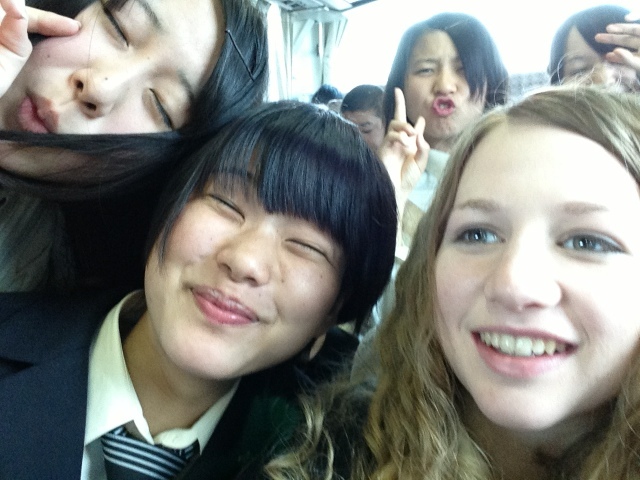 The basketball team has a game on Sunday, and afterwards we`re all gonna get dinner together. Looking forward to that. Well I can`t think of anything else and I`m tired as hell, so I`m gonna end it here. Until next time! Do girls actually have guy friends? Would it be assumed that you were bf-gf if you were seen together?